NN Investment Partners (NN IP) and FMO Investment Management’s NN-FMO Emerging Markets Loans Fund (the ’Fund’) saw strong Dutch and international institutional demand at a first close of USD 250 million, overshooting its minimum target by 25%, due to four key investors from Sweden and the Netherlands. 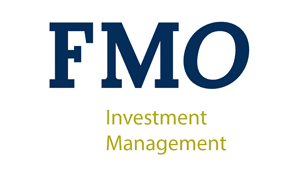 Dutch development bank FMO established FMO Investment Management which allowed FMO to scale up impact investing by providing investors access to its deal flow. The cooperation with NN IP provided a next stage through the establishment of the Fund. The Fund starts with a first close of USD 250 million allowing investors to immediately benefit from the significant portfolio of loans built up by FMO for the Fund. A second close is foreseen later this year as the proposition is easily scalable to USD 750 million due to FMO’s annual new loan commitments of more than USD 2 billion per year. This impact fund enables institutional investors to co-invest alongside FMO in loans to financial institutions, renewable energy projects and agribusiness companies in emerging and frontier markets. It combines measurable social and environmental impact, a moderate risk profile and likely a stable, attractive financial return. There is increasing demand for this type of investment solution, which can be related to a number of UN Sustainable Development Goals (SDGs), such as the focus on reducing poverty and hunger, providing affordable, clean energy and creating jobs. In particular, impact investing gained momentum as a result of the Paris Agreement and the broader adoption of the aforementioned UN Sustainable Development Goals. Investors increasingly realise that they can achieve impact without compromising on their other investment criteria - positive ESG impact and financial return can definitely go hand in hand. Next to the anchor investor Alecta the fund received an important investment from the IMAS Foundation, which is a sister foundation to the INGKA Foundation — the owner of INGKA Group, which in turn owns the majority of IKEA's department stores globally. The Fund is a relatively new product and encourages to look for solutions from outside investors’ usual thinking patterns. First of all, this Fund is a closed-end fund aimed at qualified investors that invests in loans, for which there is no publicly tradable market. This means that for some investors it falls into the category Alternative Fixed Income or Private Debt. However, investors can also view this Fund as a less liquid alternative within Emerging Markets Debt, with an emphasis on the positive effects within the area of ESG, which allows them to increase their allocation to impact investing or sustainable investing. The Fund supports several SDGs, in particular 1, 2, 7 and 8. Alecta is a Swedish occupational pension fund, with 800 billion SEK under management. The investment strategy is to have an equity portfolio of carefully selected companies and business models, integrating ESG analysis in the investment decisions. Currently Alecta has green bonds to a value of 14 billion SEK. Alecta is a signatory to the UN Global Compact and the UN Principles for Responsible Investments, and CEO Magnus Billing is a member of the EU High-Level Expert Group (HLEG) on Sustainable Finance.